Trees are a precious resource that we all value highly, but like all living things, trees and plants have a natural life expectancy. At Suburban Landscaping tree removal is not a service we like to promote, but sometimes it is a necessary measure in maintaining the health of other trees and plants in the landscape. Just as often trees need to be removed for new construction, dangerous conditions, or just because the tree is dying. We prefer to save your trees if possible, and recommend removal as a measure of last resort. However, sometimes a tree problem cant be cured or saved by conventional methods such a trimming, pruning or chemical treatments. When these situatins arise, the tree is no longer an asset to your landscape but has become a liability instead. The decision to remove a long standing tree from the landscape is not an easy one, and in some communities not even a lawfull decision you can make. As a full service landscape company, Suburban Landscaping can manage all your tree removal projects. With expert climbers and ground crews, we have helped hundreds of clients with their tree removal needs. Whether you have a single tree being removed or a grove being cleared for new construction, we have the skill and expertise to handle all your needs. As one of the largest landscape companies in the area, Suburban Landscaping is one of the most fully insured companies as well. And because of our saftey record, we hav an above average Workman's Compensation rating, which helps keep cost and prices low. A certificate of insurance is available upon request or can be found right here on our website. Click this link for complete details on our insurance. At Suburban landscaping we firmly believe in the value that trees add to property as well as to our lives. Saving an ailing tree should be the first step in returning a tree to full health. In most cases, tree removal should be a last resort and only when treatment is not viable. Typically, treatment is far less expensive than the removal cost would be. After a tree has been removed, there is always a stump to contend with. Suburban Landscaping can also handle your stump removal and grinding, offering full service tree work. Often clients desire to have surface level roots removed as well as the stump. Removing the stump of a tree that's been removed is highly recommended for numerous reasons. Often the tree will regrow from the stump and form an unappealing new tree. The tree stump could also be a dangerous hazard and cause a liability issue. What Does Tree Removal Cost? The cost of tree removal can vary greatly depending upon several factors, such as the size, location, age, and condition of the tree. Small ornamental trees can be removed for as little as $100 to $200, while large shade trees can cost as much as $3,000 or $4,000. 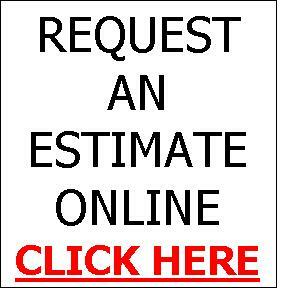 The best way to get an accurate idea of the cost of tree removals would be to request a quote from one of our tree removal estimators.